If you've read the other antenna pages on this site, you'll understand that we're of the opinion no professional should use a dual-band antenna in the execution of their duties because it cannot be tuned. If you see someone with a HAM dual band antenna, they are either HAMS, or amateur recreational users. Anyone using a dual band HAM antenna that cannot be tuned, in a professional situation, must also consider the legal ramifications of their liability. 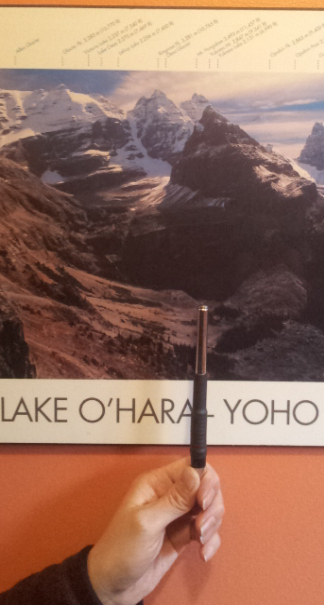 There is however, one dual band antenna that could be justified if found in the quiver of a guide. It is the telescoping steel antenna, the 270A. Because it gives you a 5/8 wave on UHF, it gives superior performance to the 1/4 wave rubber duck on UHF. But before you jump at this antenna, it is important to understand it will not be a replacement for the 5/8 wave center tuned antennas, because this antenna is 1/4 wave on VHF. That means that if you operate primarily on VHF in areas where you need good propagation to hit a repeater or a distant target on simplex, this would not be your best choice for antennas. However, you could get by in the field where your transmit targets are not long range with just this antenna on both UHF and VHF as long as you learn how to tune it properly by collapsing the sections appropriately. • Can operate one antenna on UHF and VHF. • Superior UHF performance to 1/4 wave UHF antenna. • Better VHF performance than any manufacturer's stock antenna. • Can be field tuned to match commercial frequencies, not pre tuned and shoe-horned to Ham frequencies only. • Same weight as one 5/8 wave duck, but can be used withoug creating a standing wave through a frequency range that would require three ducks (but again, we must stress will not perform as well). • Can use with a Rat Tail to increase VHF gain. • Removable base, compatible with Chinese, Japanese, and American radios (choose appropriate base). • Cannot damage it by bending it. • Easier to break than duck (not flexible). • Long and gainly when deployed. • Requires prior knowledge to tune properly for matching frequencies. • Does not have as much gain on VHF as a 5/8 wave antenna. • A guide who needs to talk to clients or other guides in other groups at maximum possible distance on FRS frequencies. • Day trips where you just want to carry one antenna, and you know that you can access a repeater with no problem if you need help because you are always in range, but also need UHF to talk to other parties on FRS channels. • Amateurs looking for an antenna superior in every way to the stock antenna that came with their Chinese eBay radio. • When you are on a backcountry trip and may need to transmit maximum distance on VHF to call for help on a repeater, your base on simplex, another group in an adjacent watershed, etc. • You do not know how to tune it to match frequencies. • Need a flexible antenna you can leave on the radio with no worries of breaking it. Length: collapsed 13.5cm (5 1/4"), extended: 56cm (22"). Note: While this antenna is 1/4 wave on VHF, the addition of a counterpoise tuned element will transform it into a 1/2 wave dipole, meaning the signal will propagate much further. Because you'll rarely find yourself on a perfect ground plane, if you plan to carry this as your only antenna on a multi day backcountry trip for emergency comm's, then you should also carry a Rat Tail.